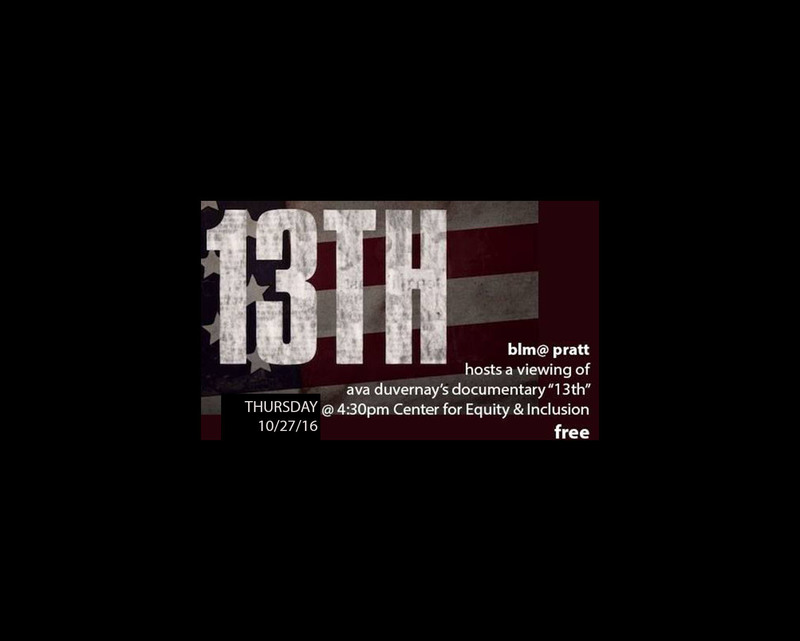 BlackLivesMatter Pratt will be screening renowned filmmaker, Ava Duvernay’s, latest film, 13th. 13th explores the ramifications of the 13th amendment to the US Constitution which made slavery illegal, except in cases of punishment. In America today, Black and Latino people make up an overwhelming majority of our prison populations, 13th explores the institutionalized racism that created this reality.